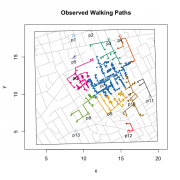 The second method, which actually follows Snow’s lead, computes neighborhoods based on the “actual” walking distance along the streets of Soho. While more accurate, it is computationally more demanding to compute than Voronoi tessellation. 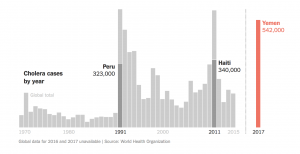 As of June 26, the World Health Organization estimates that there have been nearly 219,000 cases and 1,400 deaths since the start of the outbreak in late April. The outbreak is adding to a humanitarian crisis brought on by a civil war that’s lasted more than two years. Human rights advocates denounced yesterday’s UN announcement that it will unilaterally replace compensation for victims of the UN-caused #cholera outbreak in #Haiti with “community projects,” in violation of its promise to involve victims in that decision. Depuis la fin du mois d’avril, une épidémie de choléra s’étend à une vitesse exponentielle au Yémen. Les structures de santé, dévastées par plus de deux ans de conflit, sont incapables de contenir la catastrophe. Des premiers cas ont été signalés à l’Organisation mondiale de la santé (OMS) dès octobre 2016 mais l’épidémie flambe de nouveau ce printemps : entre le 27 avril et le 30 mai, 65 041 cas ont été recensés. Au cours de la seule semaine du 15 au 22 mai, 18 000 nouveaux cas ont été signalés et entre 3 000 et 5 000 nouveaux cas sont désormais enregistrés chaque jour. 532 morts ont été dénombrés. 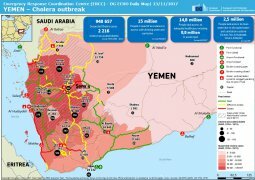 Samedi 3 juin, le directeur régional de l’Unicef, Geert Cappelaere, estimait que 130 000 personnes au total pourraient être infectées d’ici deux semaines. 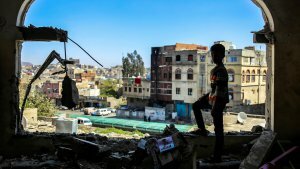 Si dix-neuf des vingt-trois gouvernorats sont touchés, l’épidémie affecte principalement des régions contrôlées par les rebelles houthistes alliés à l’ex-président Ali Abdallah Saleh : la capitale, Sanaa, et sa région, ainsi que les gouvernorats d’Amran et de Hajja, situés dans le nord-ouest du pays. Ces zones font l’objet d’un blocus de la coalition internationale dirigée par l’Arabie saoudite, en guerre contre les rebelles depuis mars 2015. 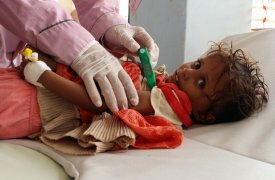 L’apparition du choléra s’ajoute à une menace de famine majeure : la sécurité alimentaire de 17 millions de personnes est menacée et 6,8 millions de Yéménites sont « à un pas de la famine », a rappelé, le 31 mai, le coordinateur des secours d’urgence des Nations unies, Stephen O’Brien. Ce dernier appelle la coalition internationale à ne pas lancer l’assaut sur le port d’Hodeïda, principale voie d’accès aux zones rebelles, dont l’activité a été drastiquement réduite par les bombardements et le blocus. 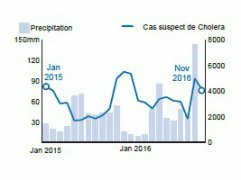 #crime_contre_l'humanité #nations_unies ou soi-disant unies. Cholera persists in Haiti due to: underfunding of the National Cholera Elimination Plan (45% financed $ 9.2 million out of $ 20.3 million); Poor access to safe drinking water and sanitation; Lack of access to quality medical care; Lack of knowledge of socio-cultural factors related to this problem; High population density and mobility to urban areas. et que font les #Nations_unies ? 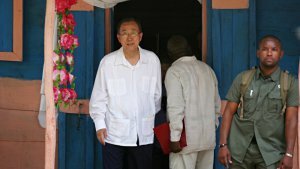 In a 16-page report released on Thursday setting out what is being billed as a new approach to fighting cholera in Haiti, the UN secretary-general, Ban Ki-moon, cites expert opinion about the cause of the deadly outbreak. It found that “the preponderance of the evidence does lead to the conclusion that personnel associated with the [UN’s peacekeeping] facility were the most likely source”. Despite the presentation of the speech as a historic “apology”, it remained carefully worded in order to meet the tight limitations imposed by the UN’s legal position. Since cholera erupted in Haiti in September 2010, the UN has insisted that it is legally immune from any claims for compensation from those who were sickened or from the families of those who died. The official death toll now stands at 9,200 people, but studies have suggested that if under-reporting is taken into account the real figure may be more than three times that number. The new approach would also include raising a further $200 million to fund rapid response teams to combat cholera outbreaks and begin building water and sanitation systems throughout impoverished Haiti. Nabarro said only a quarter of Haitians have toilets and half have access to clean drinking water. [Dr. Renaud Piarroux, a French epidemiologist] was startled to find UN agencies like the Pan American Health Organization (PAHO) and the Office for the Coordination of Humanitarian Affairs (OCHA) — and the American Centers for Disease Control and Prevention (CDC) — uninterested in finding the source of the outbreak. (...) this was baffling. The American and UN authorities seemed to be committed to an “environmental” origin for cholera in the Caribbean Sea. (...) the UN and U.S. agencies even brought in a team of investigators who had built their careers on the theory of environmental cholera. (...) just before leaving Haiti, Piarroux received a secret document: a report by the MSPP, made in the very early days of the outbreak. With remarkable speed, the ministry had sent a team to the Artibonite River and identified the source as the Nepali camp. They’d been denied entry to the camp, but local residents provided plenty of details. (...) Haiti was (and is) ruled by a coalition of UN and U.S. agencies plus a chaotic mass of non-governmental organizations. The government in Port-au-Prince was (and is) far from sovereign. Préval had understood his situation, and had sent Piarroux the ministry report anonymously, to help him tell the world what he himself could not. (...) alarmingly for any serious public health expert, a lot of public health experts went along with the scam. While thousands of Haitians were dying in puddles of their own vomit and diarrhea, the experts did their considerable best to lie to the world about why those people were dying. The US government, which is behind most of Haiti’s sorrows, spends $604.5 billion yearly on military defence. That’s $1.656 billion daily. By redirecting three or four days’ such spending, the US could provide safe drinking water and sanitation for everyone in Haiti. If I could “design” the lawsuit it would be similar to IJDH. I believe the #cholera victims are asking 50,000 dollars per victim. Haitian Hearts would do the same even though we know that no amount of monetary recompense would ever replace Jackson. We would ask for an apology from OSF to Jackson’s family. (Nadia and Rosette are fully aware of what happened to Jackson.) And OSF, like the United Nations, would need to make things better in Haiti. Any previous Haitian Hearts patient operated at OSF would need to be accepted back by OSF if they needed repeat surgery. 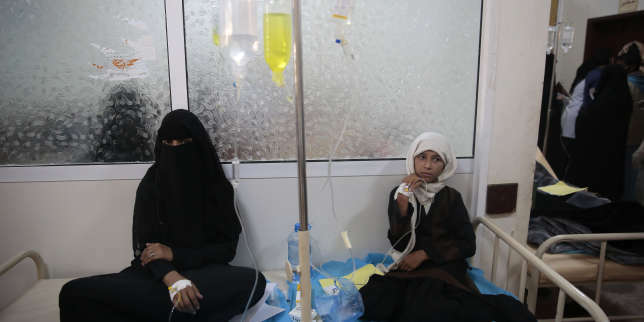 (...) Latest figures suggest that some 9,202 people have died from the disease, with a further 769,080 treated in hospital since the outbreak began. New research by scientists at Yale School of Public Health, in partnership with colleagues at the Yale Law School, has found that simple and inexpensive interventions—which the United Nations has yet to implement—would be effective in preventing future outbreaks of the bacterial infection. Researchers developed a mathematical model for the arrival of peacekeepers carrying cholera and the early spread of the disease in Haiti. The model estimated the probability of an epidemic occurring under current U.N. protocols, and compared this against the probability of an epidemic if peacekeepers had been given antibiotics for cholera, screened or vaccinated. 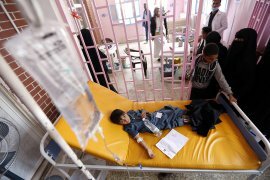 A team of independent scientific and medical experts had previously recommended that the United Nations consider these interventions to limit peacekeepers’ risk for spreading cholera. However, their implementation by the UN has been complicated by a lack of evidence to support decision-making. There was a vaccine available. Although the cache was not nearly large enough — and still not fully approved by the World Health Organization — Ivers and others appealed to Haitian officials to allow them to distribute the drug.The government said no.“This was a missed opportunity to save lives,” Ivers, who ran a clinic in Haiti for the nonprofit Partners in Health, recalled in a recent interview.Today, the epidemic is seen as a pivotal moment in a dispute over the best way to counter cholera. On one side are public health advocates, backed by the powerful Bill and Melinda Gates Foundation, who have been galvanized in their enthusiasm for vaccines. Those vaccines, they believe, can be used to make major strides against a disease that is thousands of years old, easily treated, and entirely preventable.On the other are public health officials who argue that the vaccines are not effective enough and are a Band-Aid diverting attention from the water and sanitation issues that are at the root of cholera. “This is a disease of poverty,” said Shafiqul Islam, director of the Water Diplomacy Program at Tufts University. “There is a group of people who think vaccines will solve the problem. I don’t think it will.”Experts on both sides acknowledge the disagreement has undermined unity in the fight against cholera. The WHO has tried to straddle the divide by supporting both approaches, without settling how to pay for both. A #cholera outbreak that began in Iraq in mid-September has spread into war-torn Syria. From there, a massive flow of desperate refugees could carry the disease deep into the Middle East and even into southern Europe. More than 150 Haitian-American organizations and prominent personalities including Haitian-American author Edwidge Danticat and Illinois State Senator Kwame Raoul have signed a letter urging U.N. Secretary General Ban Ki-moon and Secretary of State John Kerry to clear the path for justice for #Haiti’s #cholera victims. (...) In 2014, for example, Haiti had 28,000 new cases of cholera. In previous year, the numbers were well over 60,000 cases and at its debut, 100,000 cases.